Extension of Due Date to 31.10.2015 all over India? Extension of Due Date to 31.10.2015 all over India? Extension of Due Date to 31.10.2015 all over India? Please wait for official Notification before relying on the above tweet. I think in this type of situations Commissioner of CBDT should act immediately, so that professionals, assessees and who are all involved in book keeping and returns to file, will save time, money and kind ( stationery items etc.,). Extension of date by CBDT on 1st Oct. is only a skin saving device. It is like giving medicine after death. It is a reward to the defaulters and a slap to the law abiding citizens. CBDT fails to understand that we are their facilitators and they have indifferent attitude towards our genuine problems (which has been caused by multiple changes in other laws having impact on audit). This somewhere shows that the either the Govt. doesn’t have any vision or it is ruled by the bureaucrats. CBDT is working as magician now. Let men die first then they will revive. Is this right approach? Due date extended after it expired. Cbdt do not understand the mental pressure under which C A are working. Thanks to all of them who done this. 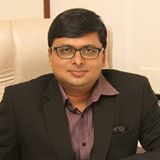 Thank you very much Sandeep Kanoiji to spent your valuable time ………….in this matter, as well Tax Guru for excellent and speedy update. Sir, Thank you very much for the efforts made and updated information. Thank you CA Sandeepji for your effort in updating everyone. kindly clarify whether only Tax Audit case u/s 44AB is extended or other Audits like companies Audit is also extended ? I thank you a lot for you continuous update on the issue and your time spent. Your updates regarding this legal battle and your comments were of immense importance to the every reader of Tax Guru. Once again thanks a lot to you! Finally CBDT issued Press Release for extension of due date to 31st October 2015 to the taxpayers who are required to file their returns by 30th Sep 2015. Good effort in updating writ status. These Bureaucrats doesn’t understand the contribution of CAs in various tax collections. These people draw hefty salary and ( B……be) in all kinds of cases they generate . CA is not a profession to be at the mercy of these kinds of bureaucracy . Similarly we should of bend backwards to our clients too. It is their duty to prepare proper books of accounts and present them for audit with sufficient time. The Trade bodies should represent for extension etc. Sir I fully agree with your comments. It is the reality. Sir, I think the date of tweet should be read as 01-10-2015. Thank you CA Sandeep ji for your effort in updating everyone.. Hats off to you. You are one of reason for Motivating Others. Can everyone please tweet Mr. Modi and Mr. Jaitley for their adament behaviour with respect to extention of due date for filling Income Tax Returns. Its not good to be a mockery with professionals, assessee and courts. There is no use of extending date today. Is this make in india concept? Whether this is called “acche din”? Is this called friendly environment for fii’s and foreign investors to invest in india? Etc. etc…. If the Government can not firm on its decision then they are not fit for it. Why they are not firm with respect to filing appeal before Apex court. If they have planned to take decision today then why all “nautanki’s”. The sovereign can not behave like this. They must be firm on their decision. We have forgotten our own members who have been elected as MP or MLAs. At last relief. thanks to one and all for their efforts. Why not enclosed the Order u/s 119 with this release. A CORRECTIVE ACTION, AFTER SO MUCH DILEMMAS. 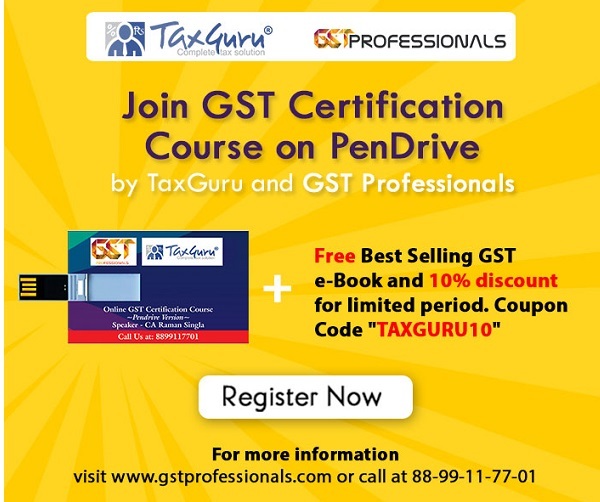 Taxguru site served a lot to the tax-payers in respect of recent controversy about extension of time and was, in my opinion, the most viewed site in this respect. This site well caters to the need of its viewers in general. Thank you Sir . . . . . . Please do confirm this news…. Why not we all CAs start tweeting him and apprising him of the irreparable harm his officers have done to the relationship between CBDT hitlers and the professionals!!! there are still six months left in this year. let them achieve their targets without us!!! Jo boond se gayi, whoh haud se nahi aati!!! !